A low-cost socialization program for adults encouraging mental stimulation and interaction with peers through recreational and therapeutic activities. Respite care is a practical service that provides temporary relief for caregivers and families who are caring for adults with mild cognitive or physical impairments. Our program allows you to leave your loved one in our care while you run errands, shop, or just relax. 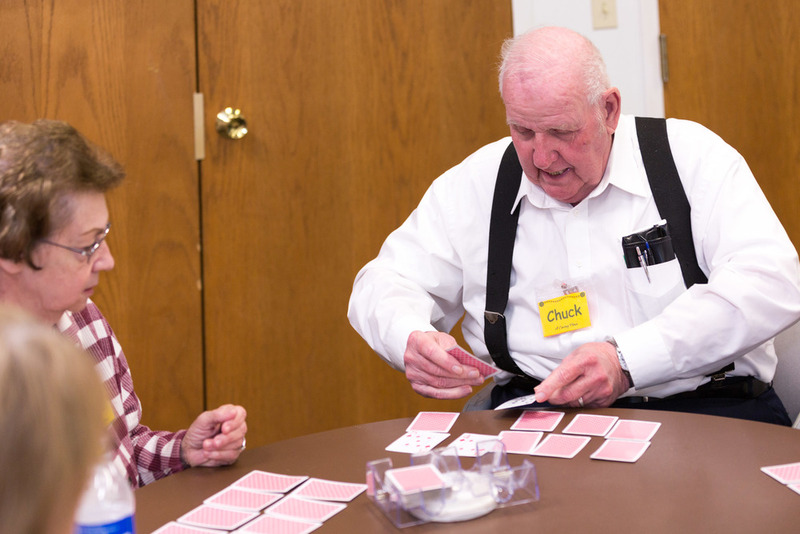 We offer a fun, structured activity program where participants enjoy the company of others while participating in a variety of games, exercises, crafts, baking, and much more. This program is organized and supervised by trained and caring staff. Come and visit us and see if this is something that will work for you and your loved one. Your first visit is free. COST: $25 per day (plus attendees bring their own lunches). The first visit is free, so just stop in any day. Thank you for your inquiry about A Caring Place! Someone will contact you within 2 business days.